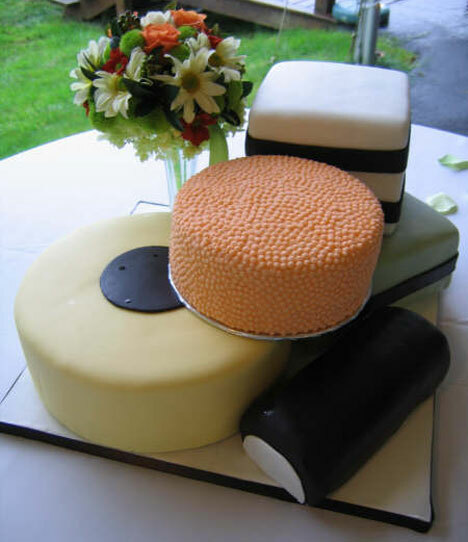 Last month we put together our Market Guide for Wedding Cakes in Toronto. But don't worry Vancouver, we didn't forget you! 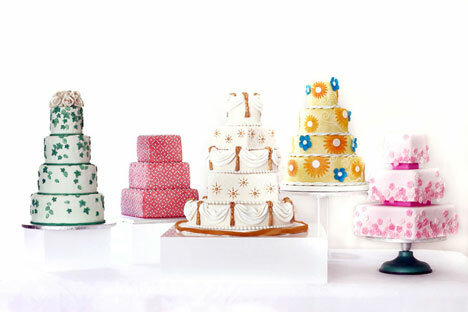 Here's our shortlist for the most delicious and elegant Wedding Cakes Designers in Greater Vancouver. If you're a few hours East or on the Island, don't panic, there's something in store for you too - next week! 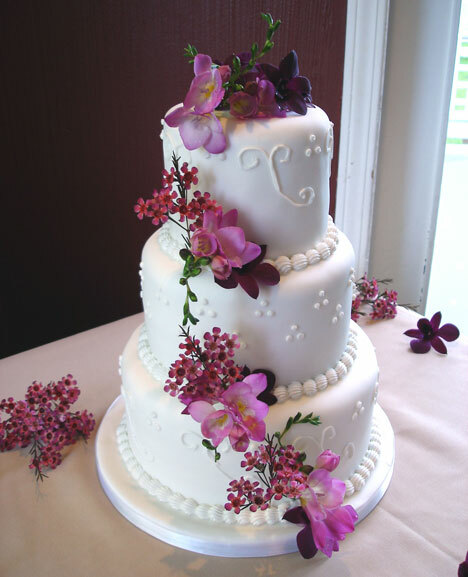 If personal touch matters and having a hands-on wedding cake designer is important to you then you'll definitely get the best with Estelle at the Mozart Bakery & Caféin Langley. 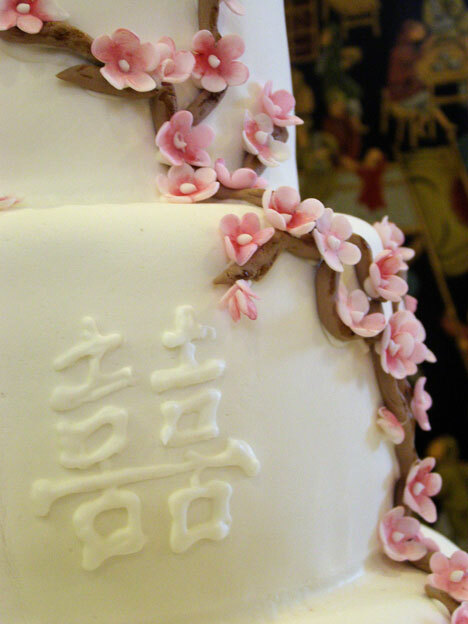 But here's the kicker, Estelle personally delivers each cake to your reception venue. She'll roam far and wide, from Harrison Hot Springs all the way to Whistler!! 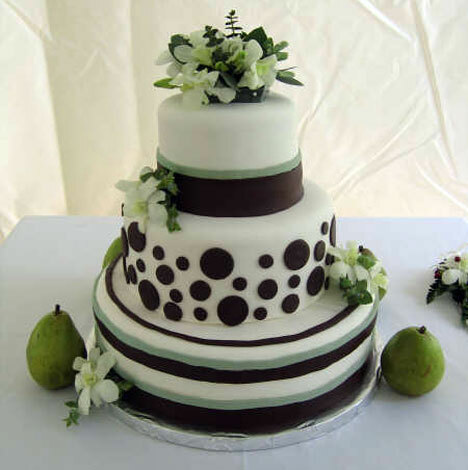 The advantage of this kind of service is not only about fixing problems, it's about proper handling of the cake, properly displaying it at the venue, and quite often doing the final decorating touches on site so there is no chance of problems occurring. Detail, detail, detail. From baking to display and presentation, Estelle ensures they're all perfect, personally! Located on the Northern Side of Chilliwack, Christine's Creative Cakes is a great option for anyone who doesn't want to struggle through Downtown Vancouver traffic. Incredibly, Christine is a self-taught artist! She started out doing designs for family and friends and now has converted part of the family home into a Baking Studio. For the All-Sorts cake shown above, the bride and groom absolutely loved candy and were even having a candy bar at the reception. So we whipped up an all-sorts design in her colours says Christine. One bride couldn't decide between her 3 favourite cake designs so we took something from each (the one with Mickey on it). 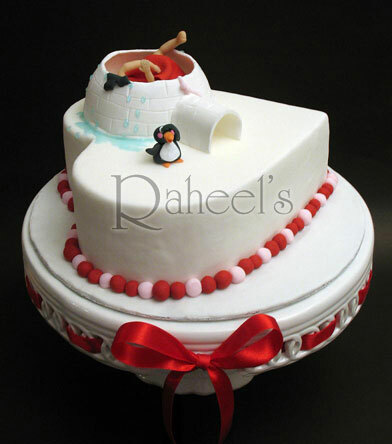 If you want something very specific or if you just cant decide which is your favourite design this is the place to come. No big-business assembly line baking here, all of Christine's cakes are designed from scratch with your consultation and made precisely to measure. 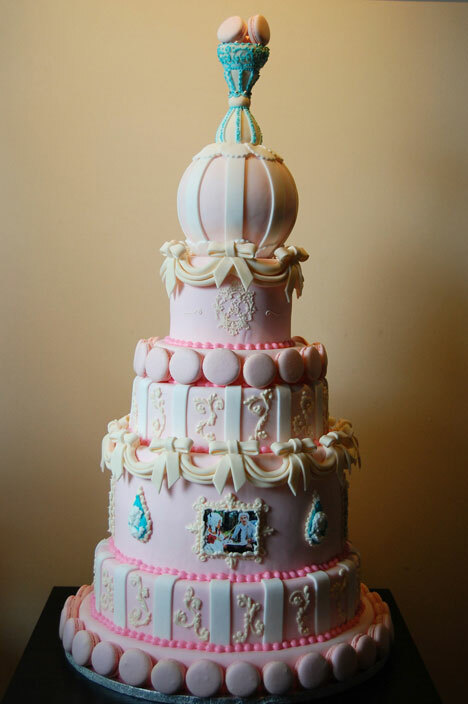 Another graduate of Toronto's Bonnie Gordon School, Raheel of Raheel's Sweet Inspirations is one of Greater Vancouver's most talented Wedding Cake Designers. So much so that her Proud as a Peacock creation, pictured below, was recently selected for long-term display at the Redpath Sugar Museum. They say good things come in small packages. Of all the delicious desserts here, we cant help loving Raheel's Cup Cake Towers. 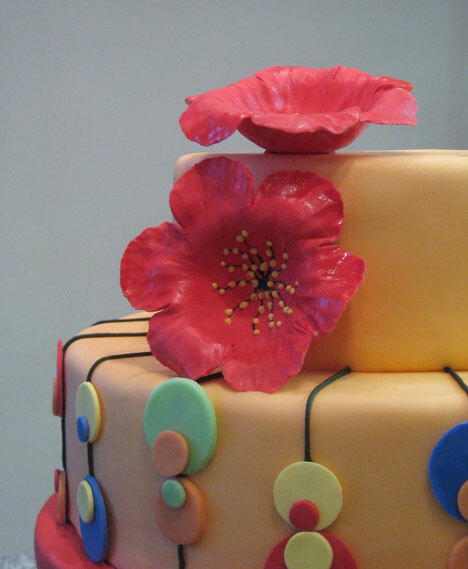 Each mini-cake gets the same attention and a different artistic spin. A flock of flamingos could certainly be a striking choice for a Bride who loves pink. If you're still feeling peckish after your tasting take a box of cookies home too as these are another of Raheel's prize-winning creations. 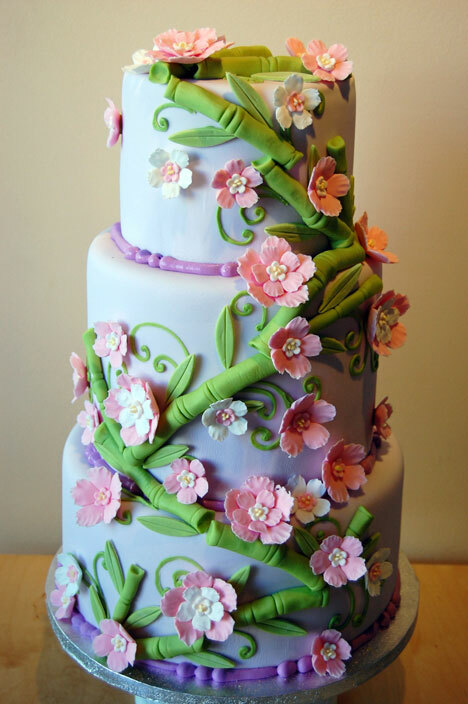 The Yellow Sugar Fairy is a home based cake studio in Richmond that has been expanding over the past few years. Melina Ng started the studio after graduating from The Pacific Institute of Culinary Arts in Granville Island. 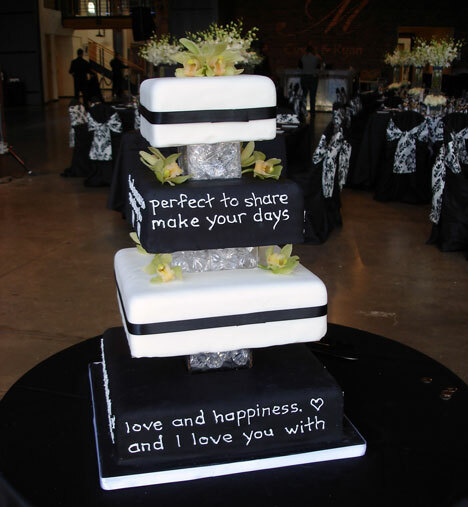 Wedding Cake consultations are complimentary at The Yellow Sugar Fairy and everything is done by appointment so you're sure to get plenty of 1 on 1 time with Melina. 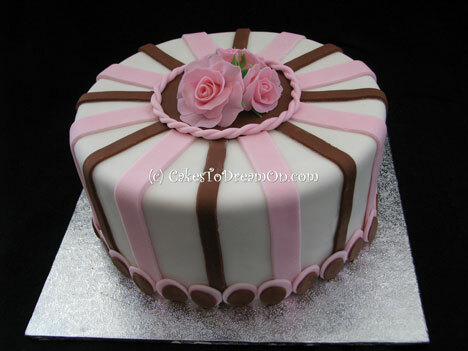 For the maid of honour, perhaps consider a Bridal Shower Cake which they also specialise in here. There's an impressively varied range of flavours to choose from despite being a boutique studio, so be sure to ask whats hot this summer and if you can, try the 'Red Velvet'. Also, the new website should be up and running this spring so be sure to check back soon! Considering 85% of bakers in Vancouver are using mixes in their Wedding Cakes, it can be hard to track down the ones that don't. Just a Lions Gate drive from Downtown Vancouver is Sweet Cravings in Central Lonsdale. Denise and team here ensure a mouth-watering taste by only using pure, fresh, natural ingredients. They also cater for food allergies and tastes of all sorts so if you want to finish the reception on a sweet note this is your best bet to impress any culinary critics at the reception. The nicest touch is that Sweet Cravings provides a free freshly baked 1st Anniversary Cake for couples on orders over $300.00. So you don't need to worry about trying to save the top layer on the Wedding Day. Before opening Sweet Thea Cakes she was the pastry chef at one of our favourite West Coast Honeymoon Locations, the Sooke Harbour House. 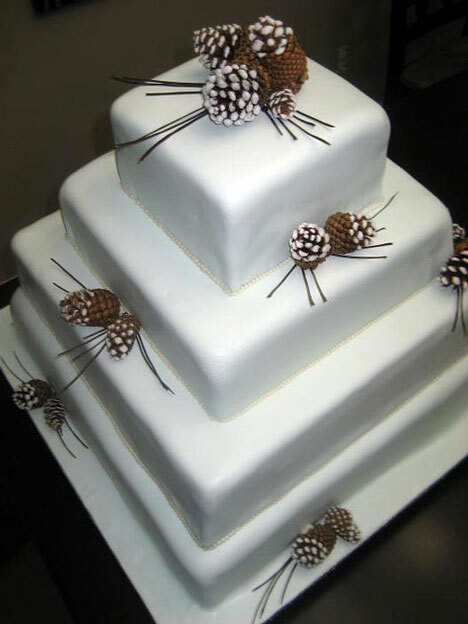 Very often overlooked is the use of fake cakes at receptions. Sweet Thea Cakes specialise in the use of fake cakes. This practical alternative to the traditional cake saves quite a bit of money while also ensuring that those guests who do want a slice are served fresh dessert (from a sheet cake in the kitchen). But if you're still after the real thing, and who can blame you, try Thea's Flirty a tasty Vanilla cake that is then layered with passion fruit cream. Delicious! 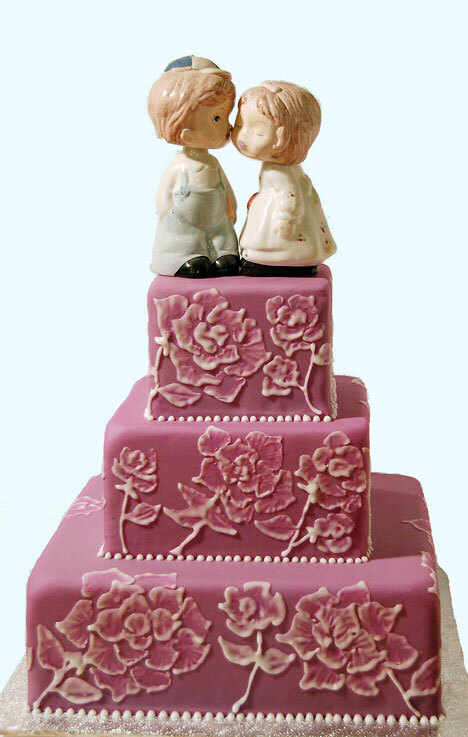 Have you ever thought about designing, sculpting and baking your own Wedding Cake? If you're looking to put a extra-personal touch on the reception (and keep your bachelorette party somewhat tame) you might consider taking a class and tackling the centrepiece yourself or with your bridesmaids. 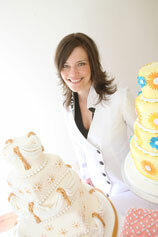 Tartlets owner and pastry chef, Nina J. Hemmes, now offers classes in professional pastry and cake design. Perfect for weddings! At the Tartlet 101 sessions you can even get the inside scoop on how Tartlets has managed to carve out a reputation for beautifully unique designs and flawless decorating. Or if youd rather just let Nina do her thing perhaps consider asking for mix and match flavour combinations so that everyone at the reception is on a splade's edge as to what they'll be served. Keep your fingers crossed for the Blackberry Twist! Deliciously Yoursis a great alternative for a Wedding on a budget. Sara and Jzabela (pronounced Izabela) specialise in both edibale and artificial cakes which look amazingly realistic and don't spoil. These two designers have been close friends since almost infancy and the relationship really shines through in the business. Perhaps a virtue of their youthful approach to the studio, they're contactable almost all the time. Shoot them an email and you'll get a response from Sara's Blackberry within minutes. The new blog feature of their website is another great little addition to the baking process. 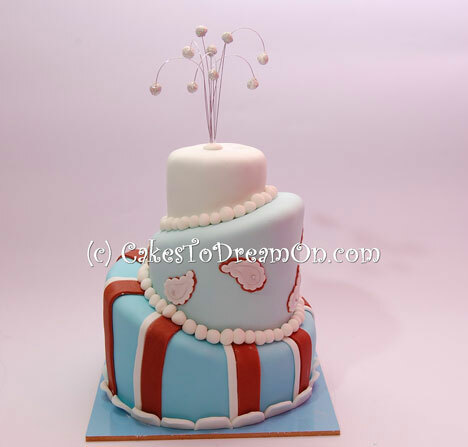 You'll soon be able to follow your cake online as it's prepared! Check in at various times for an update and see exactly what stage the girls are up to. Hopefully this makes your life a little simpler and you decision on a wedding cake designer that much closer. Want more? 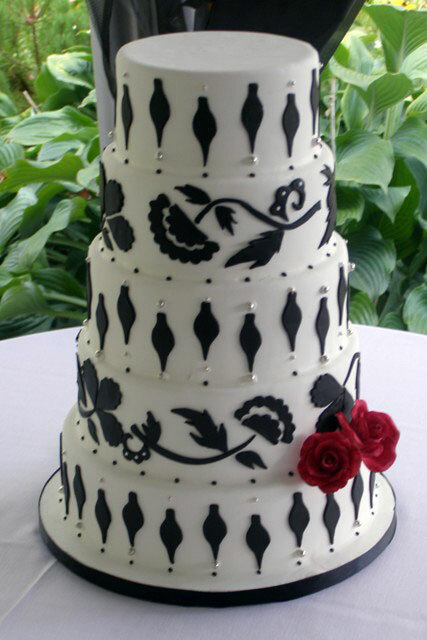 Check out our Wedding Cakes 101 series below! 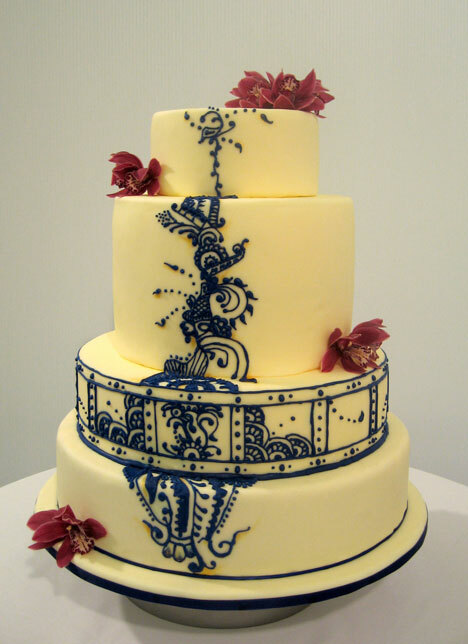 Peter Fong and Ganache are our pick of the many downtown Vancouver Wedding Cake designers. Located on Homer Street in the heart of gorgeous Yaletown, its close to everything and very convenient if you're considering a big city reception venue, though they do deliver anywhere in greater Vancouver. If you get a chance to drop by the Yaletown location for a tasting be sure to ask for a couple of the Parisienne macarons as well which are just yummy. A late inclusion to this guide is Cakes To Dream On near Cambie St in Vancouver. We saw some photos of Miri Malkin's designs and just couldn't stay away. 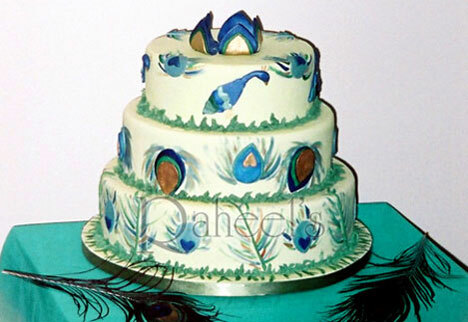 This studio, which began in 2006 has earned a reputation for producing some of Vancouver's most beautiful Round or Square cakes. 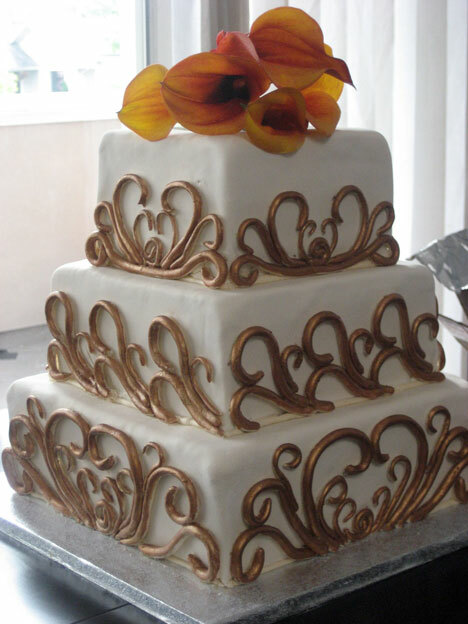 You can also ask for 3D designs, but we'd especially recommend Cakes To Dream On if you're thinking of having a more traditional centre piece. If you're hoping to be a little more hands-off with the pastry, just give Miri a few simple things, like an invitation or a few photos of the decor and let her run with them and produce an individually designed cake for your wedding reception. 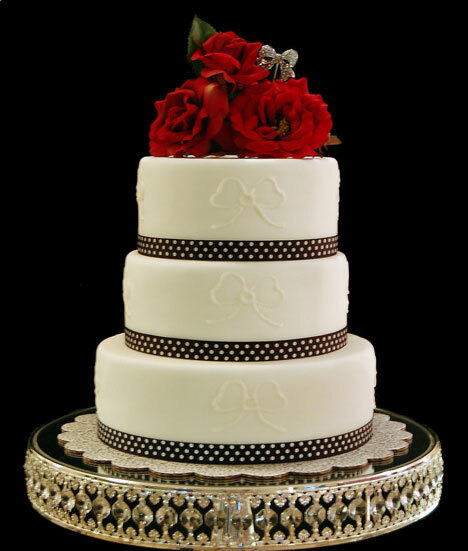 Browse the complete list of Vancouver wedding cake specialists, in the Directory.